4812 8th Battalion East Surrey Regiment. 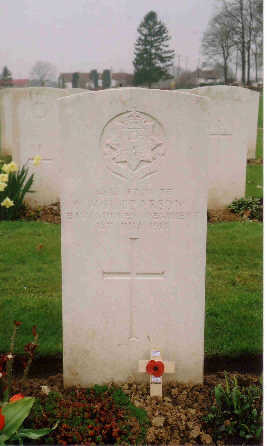 William Pearson was born around 1887 and was the third son and fourth child of Harry and Mary Pearson. His father was born in Great Waldingfield, Suffolk but had moved to Penge, Surrey by 1881 where he was described as a ‘Clothier and Outfitter’. By 1891 the family had moved to Upper Norwood, where William was born. By 1901 it is believed that his mother had died, his father remarried and his second wife Elizabeth came from Assington, Suffolk, although the family were still living in Upper Norwood at this time. The family later moved back to Suffolk and lived at ‘Woodruff’, Vicarage Road in Great Cornard. William had 2 brothers, a sister and a half brother. William enlisted and served with the East Surrey Regiment. He is recorded as having first served in a ‘theatre of war’ in France on 27th July 1915. His brothers also served, Frederick with the Machine Gun Corps, Harry saw action in Salonica and his half brother Alan served with the London Regiment. The 8th Battalion was part of the 55th Brigade which formed part of the 18th Division. In April 1915 the battalion was garrisoned in Colchester and moved to Salisbury Plain in May. The 18th Division landed in France at Boulogne in July 1915. The battalion saw action during the First Battle of the Somme, a series of 12 battles over 141 days from 1st July 1916 to 18th November 1916. William was killed in action on 1st July 1916 aged 29 on the first day of The Battle of the Somme. He lies buried in Delville Wood Cemetery, Longueval, Somme, France. In just under 13 months his father would lose 3 sons. A Cross of Remembrance was laid at his grave on 16th April 2006.